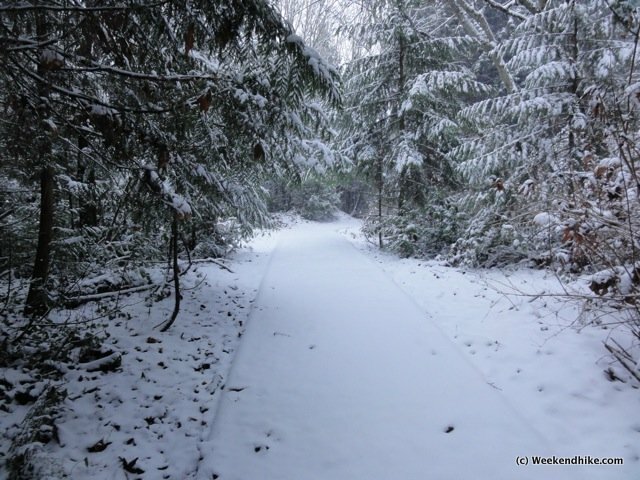 This year it was a bit more snowy in the foothills around Seattle. We even had a major snow event this year make the national news. That storm covered our local area with a wonderful combo of 3-4 inches of snow and then a half-inch thick coating of Ice, thanks to a rare freezing rain. 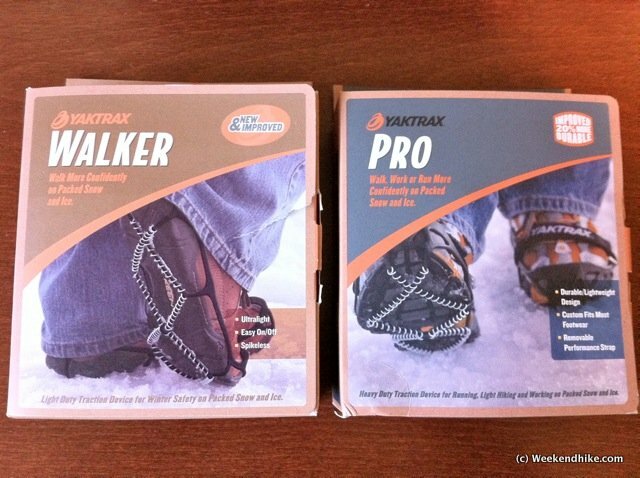 Needless to say this winter, I was using my basic YakTrax "Walkers" on a fairly regular basis. Recently, I have had mixed feelings about my "Yaks". 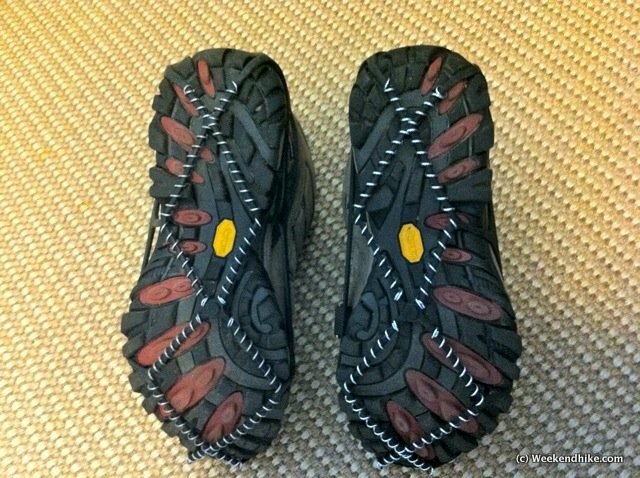 They definitely give you a secure grip when walking on snow and ice. 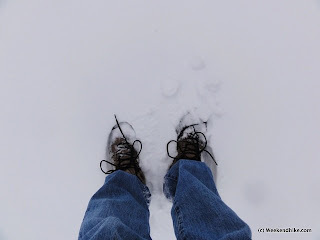 I was able to walk up our local hill with ease -- even with a mix of plowed snow slush, snow, ice and gravel. 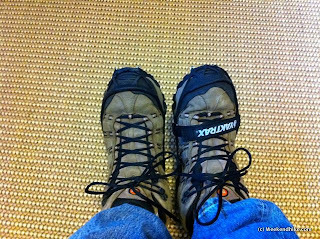 However, a couple times I returned home to discover that one of my Yaks was no longer on my hiking boot. Luckily it was usually only a short distance away - this happened not just once but twice. Not sure if the Yaks, which got heavy use for a couple weeks, were too stretched out by the frequent use or I had not secured them enough into the grooves of my boots. In any case, it was a bit annoying. The folks at Yaktrax sent me a "Pro" version to try out and review. They were unaware of my experiences prior, so it seemed like a good test to see if the Pro version is a better Yak. 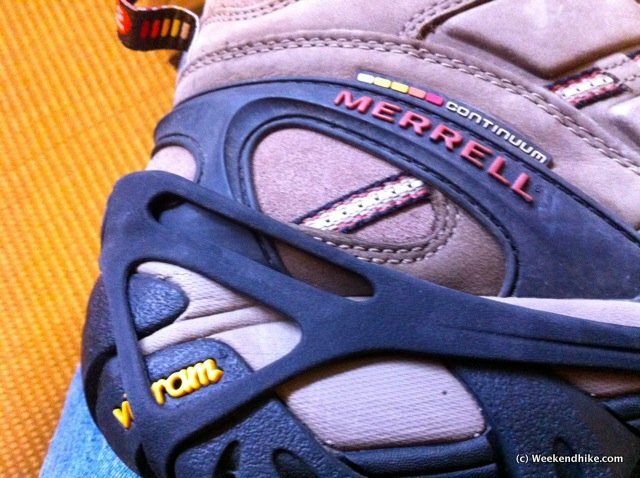 The box is almost identical to the basic "Walker" version - but it does reveal a major difference -- a strap that goes over your boot. Here is the difference - the basic Walker Yaktrax version is on the left, the Pro version is on the right (notice the velcro strap). While the bottoms of the Yaks are similar - you can see the perimeter rubber of the Pro version is a bit more beefy -- helping it feel more secure to your boot. 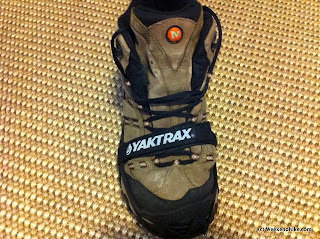 Of course the major difference is the Yaktrax Pro's velcro strap that secures the Yak around the top of your boot. 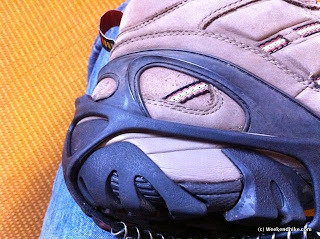 While this may not stop all "releases" of the Yak from your boot - it surely keeps it more secure and prevents the Yak from slipping as you walk. 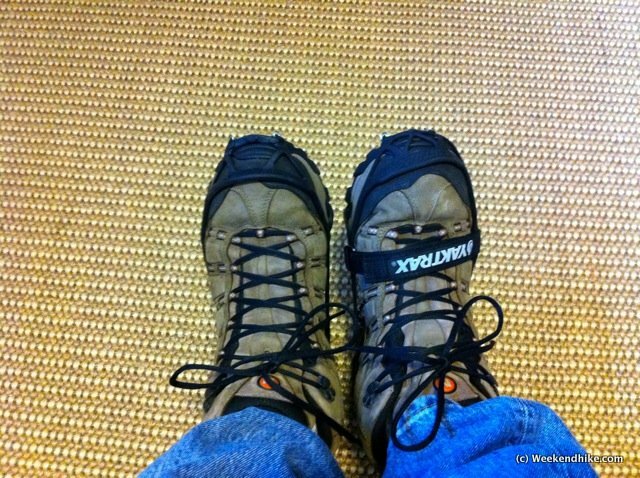 If you are a semi-serious hiker, I would probably invest a bit more in the Pro version. 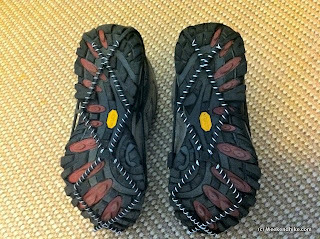 They will probably hold up better on longer snow hikes - plus you have the strap, which should reduce unintended releases. 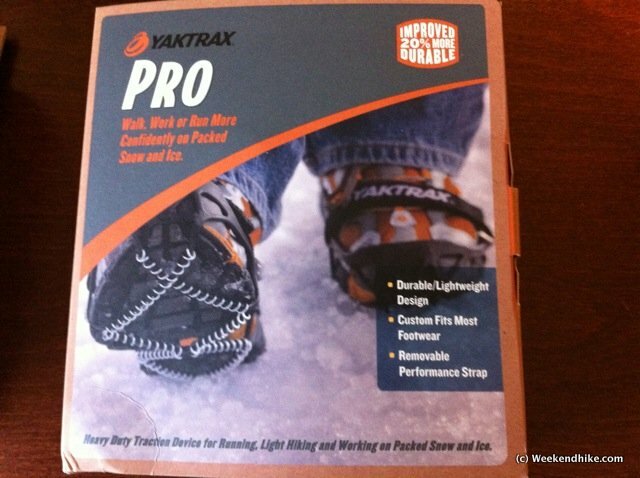 Editors Note: YakTraxs contacted me for a honest review of the Pro version. 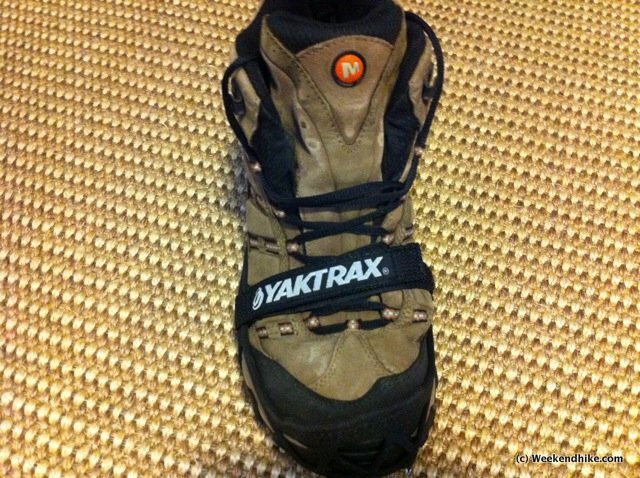 They sent me the Pro Yaks (I already owned the Walker Yaks). 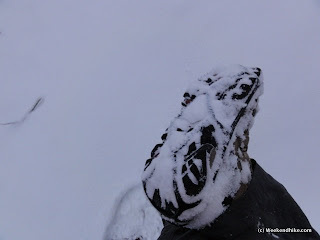 While we may review product samples - we do not review products for compensation on this blog.